The purpose and goal of this article is to provide our commercial readers with helpful tips, hints and troubleshooting ideas on how to clean floors properly and avoid costly product but also labor errors to correct floor cleaning mistakes. 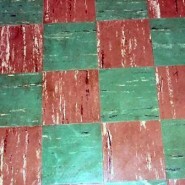 For the purposes of this discussion, the word “Floors” will cover resilient tile floors that have been sealed or coated with a floor finish, wax or polish such as Vinyl Composition (VCT), Vinyl, Rubber, No-Wax, and Asphalt Tile as well as non-resilient floors such as marble, ceramic, slate, stone, etc. How to clean floors are simple and easy as the following information will convey. However, the Four Basic Principles of how to clean floors needs to be applied and remembered when reviewing the flowing floor cleaning tips. As stated earlier, this discussion is on helpful hints and tips on how to clean floors for the commercial end-user. The actual cleaning steps and procedures of how to clean floors for commercial accounts has been discussed in a prior article, click on the following link to review commercial tile floor cleaning (Cleaning Tile Floors – Floor Finish Coated Tile Procedures, Product and Tools). Floor cleaning is critical to public health and safety. This is the primary reason why we clean floors. Since floor cleaning budgets consist of much of a commercial buildings operation cost, it is also important to have trained and skilled labor when cleaning floor. Another reason and perhaps more important to a commercial buildings customers and clients is a clean and glossy floors conveys a message to customers that the floor is clean, hygienic and a place the customer will enjoy spending time in the building. Using the proper cleaning product for the correct application is extremely important. Using a daily floor cleaner to strip wax from a floor would be an example of the using the wrong product for a stripping application. Always have all MSDS for all the cleaning products used in a facility and following the product label direction is also critical for not only proper cleaning performance but also to insure worker safety. Always use precautions when wet cleaning a floor. Wet floors are slippery and precautions should be taken to prevent accidental slip and falls. Keep foot traffic off the cleaned floors until they are completely dry. Wet floor signs are impractical for a residence. Always remember the four basic principles of Floor cleaning especially in difficult or tough cleaning situations.